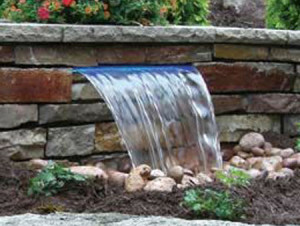 This pondless water weir pond is a nice example of a little water feature with big impact. I like this waterfall weir as it is also back lite with a colored light. The light is low voltage and it is really impressive at night to light up this small area. Some pond construction requires it to have a high element of safety. 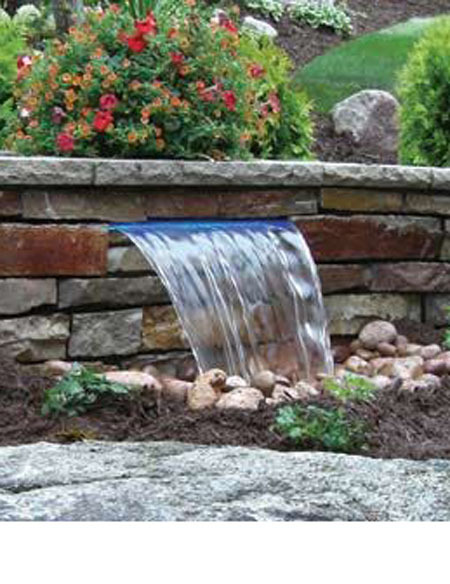 Pondless waterfalls will have all the excitements and movement of the waterfall without the worry of children falling in it. The maintenance is simpler and less time consuming. If this is something you are interested in be sure to ask your pond builder if this is a pond design that will fit your needs.